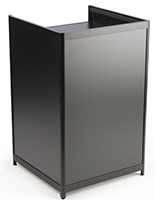 Bottom locking cabinet provides storage space! 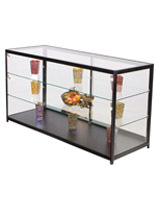 Four 20-watt halogen bulbs draw attention to displayed merchandise! 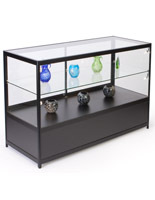 Tempered glass construction stands up to everyday retail use! 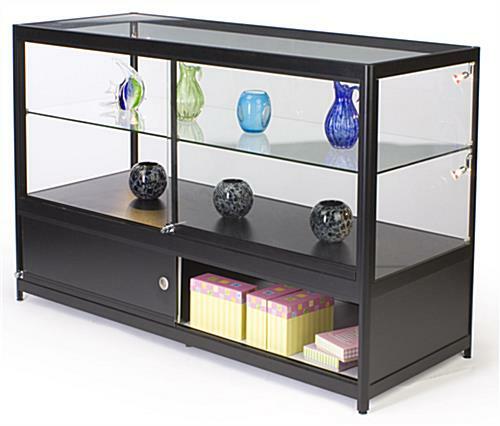 Cash counters provide retail merchants with a centralized area to store and display merchandise. These cash wraps, cash counters are part of the Essentials Line of cash wraps. 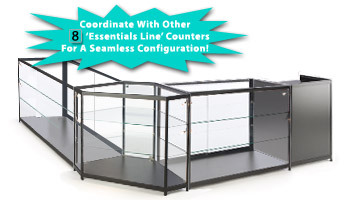 The Essentials Line offers retail associates a basic retail cash counter at a great price. The cash counters are equipped with many great features and have simple styling. 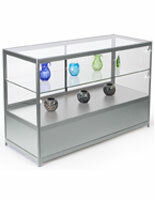 These cash counters are perfect for retail department stores, theater or business lobbies and schools. 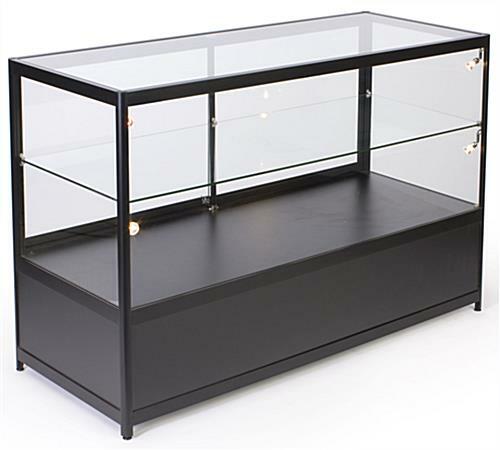 Cash counters, also known as retail cash wraps, are crafted from durable black-powder coated aluminum extrusions and tempered glass. 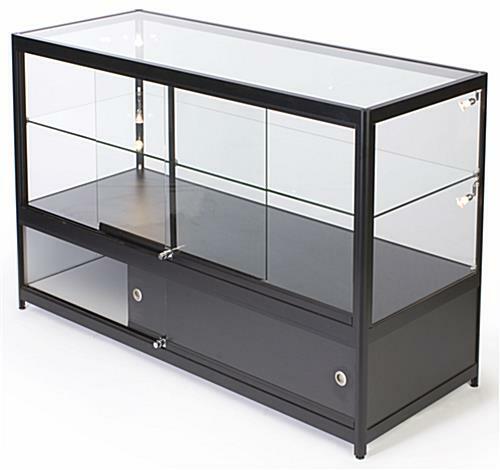 The counters feature a locking storage base, offering a full length, 11" high area to store back-stock, cleaning supplies, gift boxes and more! 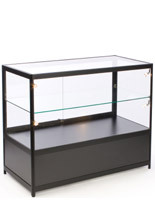 Other features of these counters include four 20-watt halogen lights to illuminate retail merchandise, floor levelers to ensure the stability of your cash wraps on any surface, a height-adjustable full-length shelf to offer display options and an easily accessible on/off switch (located just inside the sliding doors). 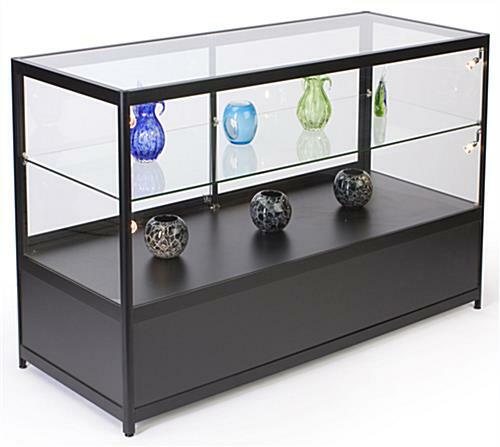 Both the top glass compartment and storage base of these counters feature security locks to keep items safe within your counters. Ships fully assembled.